Have you ever traveled someplace hellbent on seeing everything you possibly can in the short time you have? Of course you have. We’ve all done that. “I’m going to London for 4 days! I’m going to go to Buckingham Palace and St. James and the Tower of London and St. Paul’s and Westminster Abbey and the British Museum and Big Ben and Tower Bridge and the Tate Modern and Hyde Park and Piccadilly and Trafalgar Square and go see a play every single night!” MUST SEE ALL THE THINGS. Ugh. I got tired just typing all of that. Of course, if you’re spending four days in London, those are all worthy sights and activities. But great googly moogly, when are you ever going to eat or sleep? When are you going to just sit down in a pub, take a deep breath, and go, “Ahhh, I’m in London!”? You’re going to fly back home, end up exhausted from the combination of jet lag and your self-imposed suicidal vacation schedule, and decide to take a couple of sick days from work just to recover from all your rushing around. But you saw so much cool stuff! Yes, you did. But did you actually experience London? Alrighty, now - I’m going to propose something strange. Scandalous, even. Instead of making your mind up to see every conceivable thing under the sun on your trip, pick just one thing to see or do that will make you over-the-moon happy. That was not a typo. Just ONE thing. Make it something huge, or make it something that seems silly and stupid to someone else. If you focus on just one thing that will make the trip seem worth it to you, then everything else you do is just icing on your travel cake. The pressure to cover as much historic and cultural ground as possible is gone, and you’re free to simply experience the place you’re in. If a big museum strikes your fancy, go for it. If you just want to sit and chill in a cafe all morning, do it. If you happen by a joint with some live music, check it out. If you just want to stroll around a lake or a park, then that’s what you should do. The trips I’ve taken with just one goal in mind are usually the most satisfying. I don’t stretch myself thin, and I don’t set my sightseeing expectations up in the stratosphere. I just roll with whatever looks interesting, and that often makes for the most memorable experiences. Below are my top reasons for taking a trip. Some are expected, and some may seem downright ridiculous to you. But they were important to me, and I don’t regret a single one. 1. Go visit a friend or family member. What better reason could there be? You can catch up with someone important to you, check out a new place, and use your friend/family member as your personal tour guide! Ok, and they’ll most likely put you up for free, too. I’ve made a regular habit of visiting friends that have moved outside the U.S.
2. Participate in a sporting event. Sign up to run a race, do a triathlon, or take part in a rodeo in a place you’d like to check out. I met up with two good friends in Austin, TX last year to run my first half marathon. The race was our only set plan, and we ended up having a blast. We ate fabulous food, shopped, wandered through different neighborhoods, and wound up at the famous Broken Spoke where old Captain Sketchy decided I was going to be his dance partner for the evening. 3. Attend a sporting event. Go see your favorite team play football/basketball/lacrosse/cricket/badminton/shuffleboard, or get tickets to something huge like the Olympics or the Super Bowl. I got tickets to see a couple of World Cup matches back in 2010, which meant that a trip to South Africa was in order. Soccer was the reason for the trip. Wine tasting, cage diving with great whites, and seeing a leopard in the wild were all major bonuses. 4. Go get some amazing food, and perhaps a beauty treatment. I used to drive from Washington, D.C. to Richmond, VA (a 2-hour drive one-way without traffic, and there was almost always traffic) to get my hair cut and have brunch at my favorite brunch spot in the entire world. Everyone I knew thought I was beyond insane to spend at least 4 hours in a car just for a haircut and a plate of food. You probably think that sounds nuts, too. I loved it, though. My hairdresser was wonderful and much cheaper than most places in D.C., and my brunch spot (Millie’s Diner - downright mind-blowing) was just a few blocks from the salon. I would drive back to D.C. in a glorious food coma with fabulous hair. Worth the trip? Absolutely. 5. Go see a show. I went to Paris for a long December weekend with a friend for the sole purpose of seeing an opera in the Paris Opera House. The opera experience was unbelievable, and my inner opera nerd practically passed out from happiness. Spending the rest of the weekend doing nothing but drinking champagne, eating macaroons, walking around the beautifully decorated Champs-Elysees, and not feeling my feet for 3 days thanks to the cold was just blissful. Yep, even the numb feet part. 6. Go be IN a show. 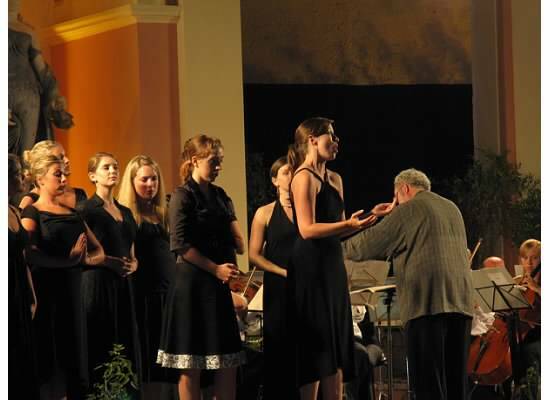 I’ve been to Italy twice to take part in an opera festival. The experience and education I received were top-notch. I didn’t have all that much time outside of rehearsals and performances to explore the area, but I took every brief chance I had to do just that. I mean, I was singing in Italy. Anything I got to do on top of that was just bonus. I even managed to eat gelato at least once a day, which was an extra bonus. 7. Go see a building that fascinates you. I once went to York, England for a day just to see York Minster. I also once went to NYC for a weekend just get an insiders’ tour of the Met, and happened upon a rehearsal of Donizetti’s “L’elisir d’amore”. Operagasm. 8. Go to a festival. In college, I drove from southern Alabama to West Virginia to spend just 36 hours in the town of Fayetteville for Bridge Day. We spent about as much time driving as we did at the festival, but that 36 hours was full of beautiful weather and fall foliage, gorgeous mountains, staring at people bungee jumping off of the New River Gorge Bridge, and eating delicious, artery-clogging carnival food. I even posed for a picture with a guy dressed as a chicken. 9. Go because the name sounds cool. While studying abroad in Scotland, a friend and I debated about places we could go for a weekend trip. We settled on the seaside town of Ayr just because we thought the name was funny. It ended up being one of my favorite weekend trips during my time in Scotland. You can come up with any number of singular reasons to go somewhere. You may even come up with a reason sillier than getting a haircut (if you do, I will personally give you a golf clap round of applause). And I’m willing to bet you’ll be just as happy, if not happier, with your travels as you would with an itinerary that fills every second of your days.